Spring cleaning can be green cleaning with the right tools. You don’t need a lab or a science degree to make your own cleaning products. Learn how to create easy do-it-yourself cleaners for all your toughest projects around the house. Have you ever looked at the ingredients on your favorite household cleaner? The number of toxins that go into everyday cleaning sprays can be overwhelming. All of that just to get a little grime off the countertops? The truth is chemical-free cleaning does the job just as well. Make your own eco-friendly cleaning products to save money -- and get one step closer to green living. Vinegar is the workhorse of DIY natural cleaning. It's a food, so you already know it's non-toxic. It doesn't smell like your average cleaning product and that's actually a good thing. Synthetic perfumes in cleaning products aren't healthy. They just trick you into thinking things smell clean. Using pure vinegar in a spray bottle for heavy-duty cleaning keeps pests at bay and deodorizes. Create another bottle with a mixture of equal parts vinegar and water for everyday surface cleaning. Be sure to label your bottles. Baking soda does the hard work for you. The gritty texture works to scrub, and when combined with vinegar, baking soda foams up to help carry away dirt and grime. Mix baking soda with organic castile soap for a thick paste you can use to clean bathroom surfaces and tile. 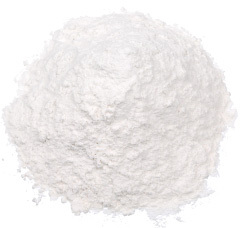 Like vinegar, baking soda is non-toxic and versatile. It's also extremely inexpensive. Next time you're at the store, pick up one of the giant boxes instead of a little one for your fridge. Vinegar and baking soda alone don't act as disinfectants for surfaces that may carry germs. Before you break out the bleach, consider using pure essential oils to disinfect instead. Oils like lemon, tea tree and lavender don't just smell great -- they actually help kill germs. Add around 40 drops of your favorite essential oil to a spray bottle full of equal parts water and vinegar. Keep this mixture out of the reach of children, as you would any household cleaner.